The RIT music program has several designated music rooms on campus that are located in the A-levels of Liberal Arts Hall and the Student Alumni Union. 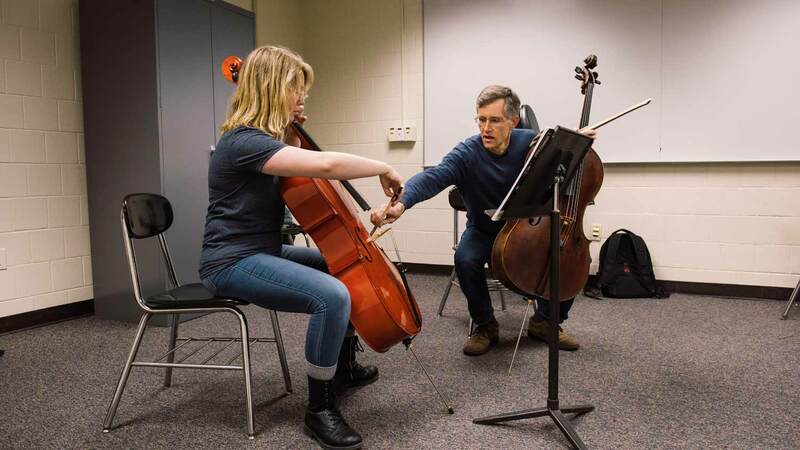 Applied music lessons are typically conducted in the music rooms in Liberal Arts Hall, while official RIT performance ensembles rehearse in the Student Alumni Union. Select rooms have open practice hours.